The word Kremlin in Russian means “fort” and the Moscow Kremlin (Московский Кремль) is Russia’s main fort, in the heart of Moscow overlooking the Moskva River (to the south), Saint Basil’s Cathedral and Red Square (to the east) and the Alexander Garden (to the west). There are many kremlins (forts) in Russia but the Moscow Kremlin is the best known of around the world. The Moscow Kremlin includes four palaces, four cathedrals and the enclosing Kremlin Wall with Kremlin towers. The complex serves as the official seat of government of the President of the Russian Federation. The stunning, yellow-and-white Russo-Byzantine facade of the Grand Kremlin Palace stands on the crest of Borovitsky Hill in the southern part of the Kremlin complex. The palace on view today was commissioned in 1837 by Emperor Nicholas I, but stands on the site of the estate of the Grand Princes, established as far back as the 14th century. At the start of the 1300s, with Ivan Kalita’s marriage to the Tatar Khan’s daughter and his assumption of the title of Great Prince of Vladimir, the royal estate consisted of a number of log houses with porches and turrets interconnected with vestibules, stairways and passages. 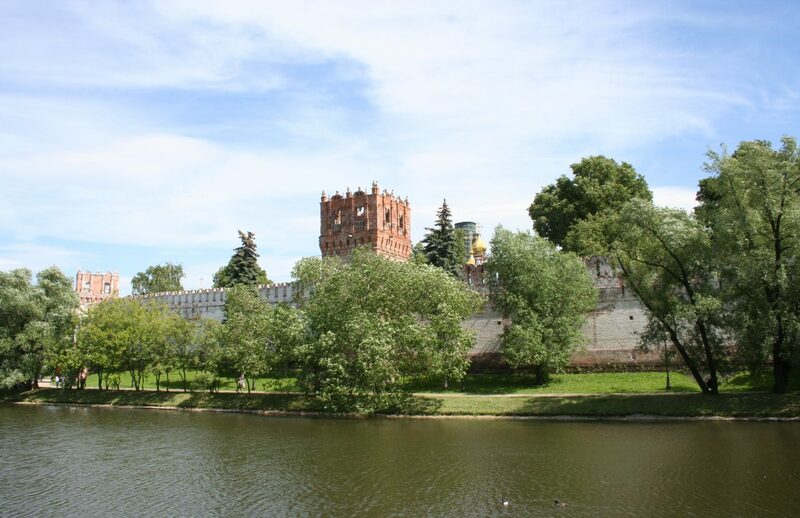 During the reign of Ivan the Terrible (1462-1505) the first stone palace was built on the site and later rebuilt, restored and developed as repeated fires and enemy raids damaged the buildings within the Kremlin walls. At the turn of the 18th century Peter the Great moved the Russian capital to his northern city of St. Petersburg and construction and renovation work in the Kremlin ground to a halt. It was not until the 1740s, when Empress Elizabeth Petrovna commissioned the famous Italian architect, Bartolomeo Rastrelli, that, the Tsar’s Palace was renovated and construction work began on a new building on the foundations of the original 15th century site. This structure was further added to during the reign of Nicholas I with the construction of the present Great Kremlin Palace in the 1830s. The western wing of the palace features the Imperial family’s private apartments and five grandiose state reception rooms, each dedicated to one of the chivalric orders of the Empire. From the palace’s central entrance on the building’s southern facade, a grandiose staircase leads up to the second floor and the magnificent Georgievsky Hall. Named after the Order of St, George, the highest Russian military decoration, the hall covers an impressive 1,250 meters of floor space and its ceiling is a mighty 7.5 meters high. The hall is adorned with hollow zinc columns and lit by a host of ornate crystal chandeliers, whose light reflects in the room’s intricately patterned parquet floor, the design of which incorporates twenty different kinds of wood. The hall’s walls feature numerous marble plaques on which are engraved in gold the names of Russian units that distinguished themselves in battle, and of officers and men awarded the Order of St. George. Among them are the names of the famous Russian army commanders Field Marshals Suvorov and Kutuzov, and the navy commander Admiral Nakhimov. Elegant columns are interspersed between the marble inscriptions, each crowned with an allegorical statue of a woman holding a laurel wreath in her hands and personifying the victories won by the Russian army. The Georgievsky Hall is used for state and diplomatic receptions and official ceremonies such as the presentation of governmental awards and state prizes. After the World War Two Victory Parade in 1945 the participants attended a reception held in this hall. It was also here that Yuri Gagarin, the first man to orbit the Earth in space, received his Gold Star of the Hero of the Soviet Union in 1961. Mirrored doors lead from the Georgievsky Hall to the octagonal Vladimirsky (St. Vladimir) Hall, located on the site of the ancient Boyar Square of the Terem Palace. The most impressive feature of this hall is its steep dome, decorated with gilt stucco molding, from which a magnificent three-tiered crystal chandelier hangs. The Vladimirsky Hall leads to the palace’s older structures – the Palace of Facets, the Tsarina’s Golden Chamber and the Terem Palace through the gilded doorways of the Holy Vestibule- as well as into the Winter Garden and the Palace of Congresses. Today the Vladmirsky Hall is used principally for the signing of international treaties. In Soviet times, two of the Grand Kremlin Palace halls, the Alexandrovsky (St. Alexander) and Andreyevsky (St. Andrew) Halls, were combined into a single chamber to accommodate meetings and conferences of the Supreme Soviet of the USSR and later of the Russian Federation. The ground floor of the Grand Kremlin Palace features the Imperial family’s private apartments, which have been carefully preserved as a museum to the Russian Tsarist dynasty. All the rooms are sumptuously decorated with marble, stucco molding and murals and furnished with ornate and sumptuously designed furniture and fixtures. Particulary fine is the Catherine Hall, adorned with malachite pilasters and mantelpieces so skillfully and precisely matched in color and pattern so as to have been made from a single piece of the semi-precious stone. Unfortunately, like the magnificent Faceted and Terem Imperial Palaces, the Great Kremlin Palace is off-limits to visitors.